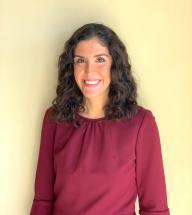 Kristina Harootun joined the firm in October 2018. Her primary practice areas are civil rights, employment, and constitutional litigation. Before joining the firm, Ms. Harootun was a Ford Foundation Public Interest Fellow at Lawyers’ Committee for Civil Rights, focusing on criminal justice reform, immigration, and homeless rights. She also served as a law clerk to the Honorable Dorothy Wright Nelson on the Ninth Circuit Court of Appeals from 2017-2018. Ms. Harootun received her J.D. from New York University School of Law in 2015 and her B.A. from UCLA in 2010, where she majored in Philosophy and minored in Public Policy. During law school, she interned at the American Civil Liberties Union, Criminal Law Reform Project and the Legal Aid Society’s Immigration Unit. She also externed for the Honorable Goodwin Liu on the California Supreme Court.